I find myself talking a lot about discipleship these days. It is my passion. A lot of my time revolves around growing in the direction of Jesus and watching others grow. 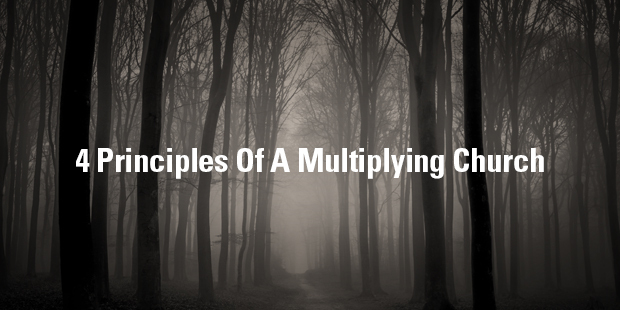 Here are a few threads from my book Guardrails; Six Principles for a Multiplying Church that I explain in more depth here. Movement thinking is key to discipleship. Multiplication runs on a different operating system from addition. I often experience this as a pastor. At times I am tempted to just “do church” or to do things myself instead of raising up the people God has put in front of me. Movement thinking sets the table for movement living. Co-ministry with God is more about the who than the what. Unlearning and learning are both essential. Here are to things we need to unlearn. Complexity. Somewhere in the process we’ve bought the lie that discipleship, growing in the way of Jesus, is complex. We’ve mucked it up, clouded it, so others don’t even want to attempt it. Expert-centricity. We’ve believed and made others believe the more knowledge you have the more transformed you are by God. We simply must unlearn our notion that experts are the most well-positioned to lead people. Here is one thing we must learn: how to disciple people, real humans. We have great ideas in our heads, but they rarely work in the practice of discipleship. Discipleship isn’t learned in a manual; it’s learned in the context of life. Most leaders in the church have never been discipled. I encourage every leader to be discipled and start discipling another leader. Somewhere along the way we have come to believe this equation: More programs + More people = More growth. Programs aren’t evil, but they are incomplete. They can be a catalyst, but never “the thing”. By nature, programs start from the outside edge and try to move inward. I have observed the effects of over-programming in many churches: exhaustion, frustration, discontent. Transitioning to a discipleship culture requires two things. Urgency. Without urgency people and cultures don’t change. 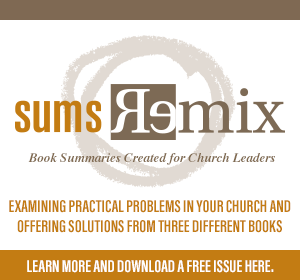 This urgency will often drive churches to re-approach their church ready for change. There is a point of pain somewhere (ineffectiveness, fatigue, lack of fruit, etc), but once a group is urgent they are ready to go through the pain of shifting from the comfortable to the different. Commitment to the often unseen work of discipleship. To press into truly making disciples requires us to resist other things; activities, metrics and patterns, that we are used to. They are easy to measure, and they make us feel like we are succeeding. We move from the easily quantifiable to the practices that are largely “hidden in Christ”. Mustard seeds don’t garner much attention or influence these days. > Read more from Alan. Alan Briggs has a ridiculous passion for helping leaders uncover who they are and how they can reach more impact. He founded Stay Forth Designs to equip leaders and teams for health and impact. He is the Director of Frontline Church Planting, a network and equipping hub in Colorado. He is the Multiplying Pastor at Vanguard Church in Colorado Springs where he makes disciples, develops leaders and launches new parishes. His speaking and writing focus on equipping and unlocking the saints for effective ministry inside and outside the family of God. He has written three books; Staying is the New Going (2015) and Guardrails (2016), and Everyone’s a Genius (2017). He and his wife, Julie, have four kids, two adopted and two biological, and are enjoying the process of growing roots. Their family focuses on building bridges to the lost, largely in the context of their neighborhood. 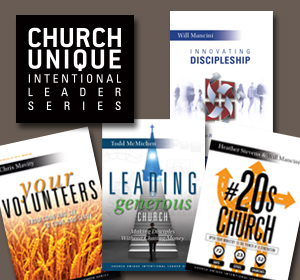 He is passionate about equipping leaders and churches to multiply through relational, experiential and formal learning. He loves climbing, camping, grilling and connecting with his neighbors.